Looking for camps and classes for the summer that are both fun and educational? The Patel Conservatory at the Straz Center offers an array of beginning music camps and classes that will jumpstart your child's interest in music. Studies show that music education can actually help kids focus, learn self-discipline and increase academic performance. The Conservatory offers many camps and classes designed for beginners to explore an array of instruments and musical styles and introduce them to basic music concepts. Children in grades 2 through 4 spend a week exploring the instruments of the band and orchestra, allowing them hands-on, interactive fun as they discover their musical interests. Half-day options are available. 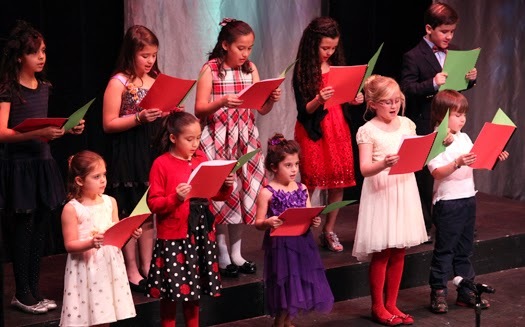 Students in grades 1 through 4 will learn good singing technique and music reading while exploring songs from around the world in this half-day morning camp. Those who wish to spend the whole day in camp can add an afternoon Instrumental Petting Zoo. Students in grades 5 through 12 will learn world music by performing on ethnic instruments. Open to all percussionists in grades 5 through 12, this camp will focus on ensemble literature and proper technique. Students will perform on all types of percussion instruments. This group class is for students in grades 5 through 12 who are looking to start playing piano. Fundamentals such as hand position, note reading, basic literature and playing techniques will be taught. Beginning guitar students in grades 5 through 12 are introduced to the basics of playing, including technique, music reading, chords and tablature. Students are expected to have their own guitar, preferably an acoustic guitar. No experience playing guitar or reading music is necessary. Additional summer music programs are available for all skill levels. Private lessons are also available. For more information, including dates and prices, call 813.222.1002 or visit patelconservatory.org.